Free Printable Tectonic Plates Map. Free Printable Tectonic Plates Map, great free printable for the earthquake training or geography classroom. If you are teaching about earthquake preparedness, tsunami ready, and the earth plates motion, this free printable can be of great help to make teaching easier. Print this Tectonic Plates Map free using your laser or inkjet printer, share it with students, friends and family. The map includes the Plate Tectonics motion arrows. 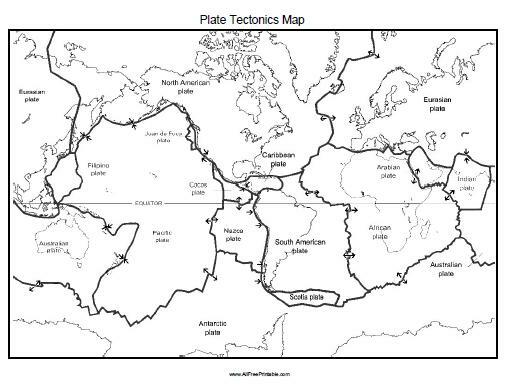 Click the link below to download or print the Tectonic Plates Map now in PDF format.